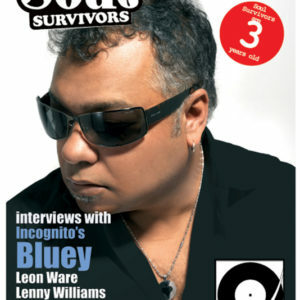 Another lucky sextet issue with Don-E and Louie Vega interviews promoting their forthcoming albums. Not seeking revenge but to share his passion for soul music I spoke with Dj promoter Bob Masters and The Whispers leading twin vocalist Walter Scott. 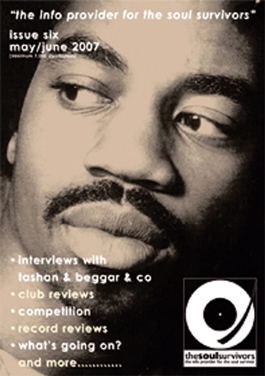 Another lucky sextet issue with Don-E and Louie Vega interviews promoting their forthcoming albums. Not seeking revenge but to share his passion for soul music I spoke with Dj promoter Bob Masters and The Whispers leading twin vocalist Walter Scott. 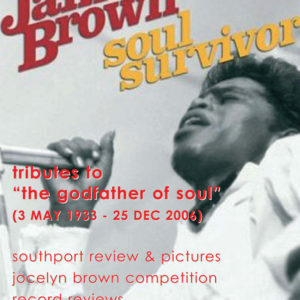 “Fair Play” to Jazzie B for finally finding the time to chat and reminisce about our mid to late 1980’s paths crossing and his meteoric rise and how inspiring was it to talk to Ernie Isley of The Isley Brothers? Introducing art and music a new feature is the Roll Call Of Fame honouring the talents of Luther Vandross, Prince and Aaliyah.